Have you ever said the wrong thing at the wrong time? 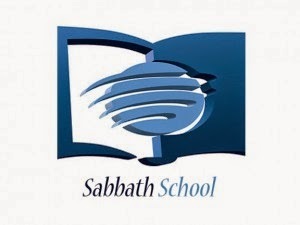 If it’s suitable for Sabbath school, tell that story. What about the right thing? Have you ever had a word or phrase pop into mind right when you needed and witnessed your words make a difference? Tell that story. Today’s discussion stems from the lesson this week about the fool, the wise and the difference between them. In our small groups we are going to explore these two categories that seem to lead to an unending list of proverbs. And, in the end, like my son, we will realise that God has given us a simple, two word, answer that makes sense of it all! The following three group guides look very similar. But the discussions they will generate will be very unique. I will be breaking the class into three groups and then having them report back after 20 minutes of group time. You could choose to go through each as one group (if your class is small) but it will take a lot more time! What two types of people are discussed here? What things can be seen in their actions that establish which camp they are in? What makes the difference? What puts them in one group or the other? Compare the two passages. What are the similarities? What are the differences? The difference between a foolish life and a wise life can be quite difficult to explain. A thousand proverbs and a lifetime of stories can only begin to unravel the meaning of a well-lived life. And yet, you know one when you see it. Any deeply honorable and wise person will explain the source of their peace comes from having a focus outside of themselves—a purpose, a people, a hero. For the follower of Jesus, there is joy because of all Jesus did for us in life and death and new life. This new life gives us purpose in our lives because of all Jesus promises to do in us and through us in the world. There is no timelier Word than Jesus! He arrived right on time. The Word became flesh and lived among us. Then died for us. He reconciled us with God. Now He sends His Spirit to make us like Him so that we too may become like our neighbors, sharing bread and drink, reconciling them with God through our love. All of our outward “wise” living is not us at all, but Him living in and through us. We are His temple, His reconcilers, His hands and feet. “Because, Jesus!” is probably not the answer you expected this week. But it truly is the best answer you’ll ever find!